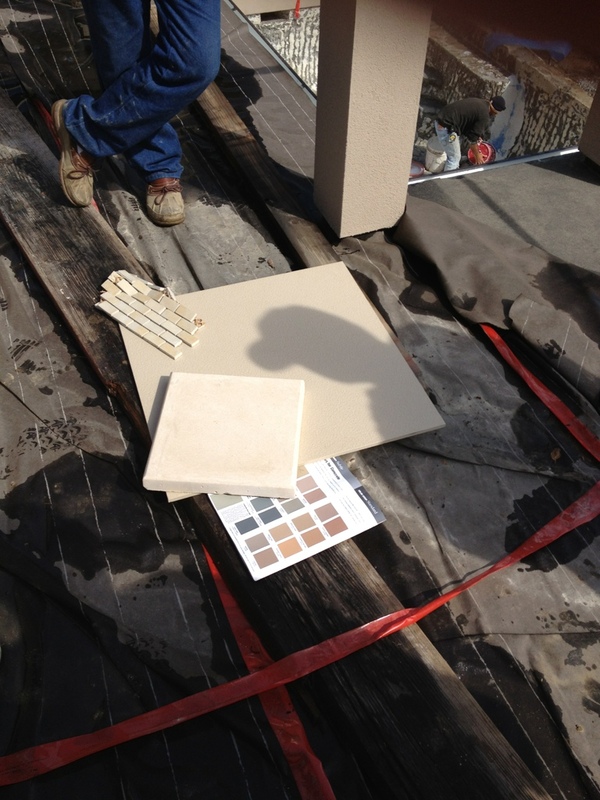 This is a job I’m working on in Marin, a “$3 million fixer-upper” This is a picture of the tile, the pool coping, the pool tile and the checked-off Davis color. This will be the color of the cement. If you go lighter you have to use white cement as your base and the price more than doubles. It is also nice to have some contrast and it will be easier to keep clean because it’s darker.